This morning I got up at 6 AM in Morro Bay and hit the road by 6:30 to drive the 150 miles back to the Ventura homestead. Then Sean and I went out to breakfast; we walked a mile down to the Golden Egg Café, ate, and walked home again. Then we got in the car and drove 70 more miles into Los Angeles to the Japanese American National Museum, where I’d arranged to meet my good friend Pat. 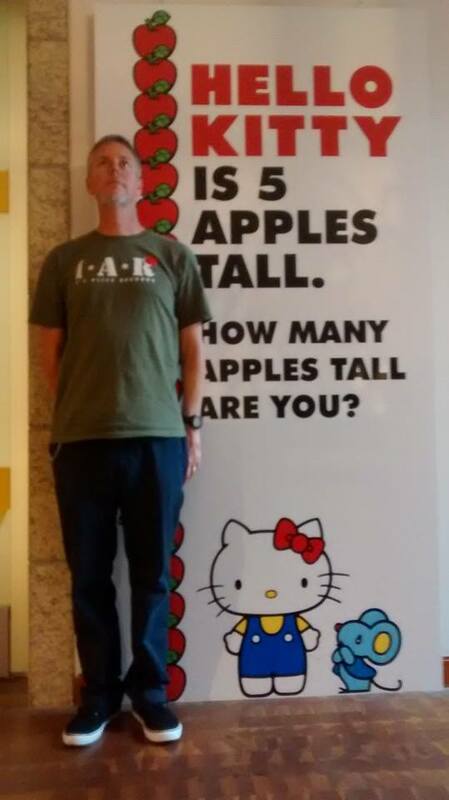 We had lunch at Mr. Ramen in Little Tokyo, browsed at Kinokuniya (a very cool Japanese bookstore), and then Pat and I checked out the Hello Kitty exhibition which I’d seen once before and wrote about in Day 74. Sean opted to hang out at a coffee shop this time. Afterwards, we walked with Pat to Union Station, where she was catching the train back to San Bernardino. By then it was 3:45 PM, and Sean had tickets for the L.A. Galaxy soccer game at 7 PM. So we did some food shopping at Marukai Market, ate some take-out sushi, hung out in the open plaza area at the Weller Court Shopping Center, and read our books until it was time to go to the game. Normally, I am not a huge sports fan and I don’t particularly enjoy being at a crowded sporting event. But Sean did go with me to the Hello Kitty exhibition the first time, so it was only fair that I go with him to the soccer game tonight. 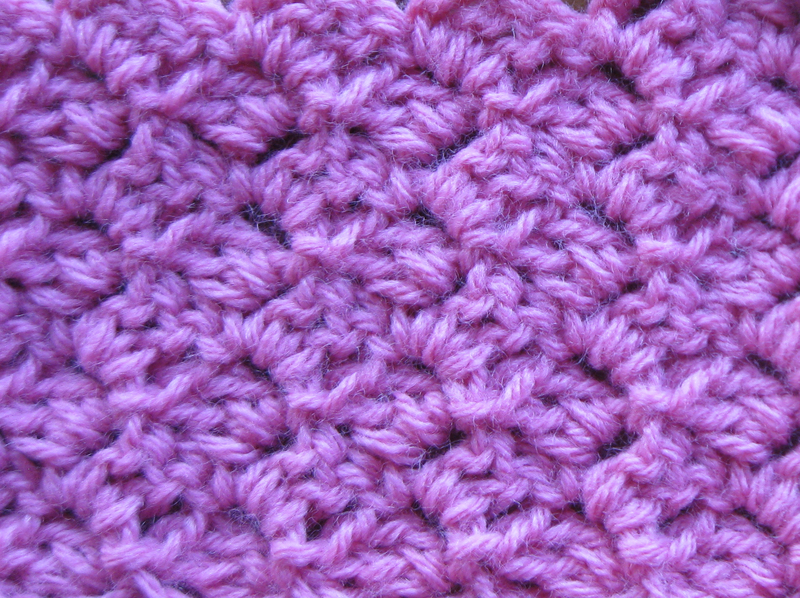 Categories: Adventures with Sean, Handmade | Tags: afghan, crochet, Hello Kitty, Sean | Permalink. Even though Sean loves to tease me (prime example: see yesterday’s post), he really is a good husband and I think I will keep him. 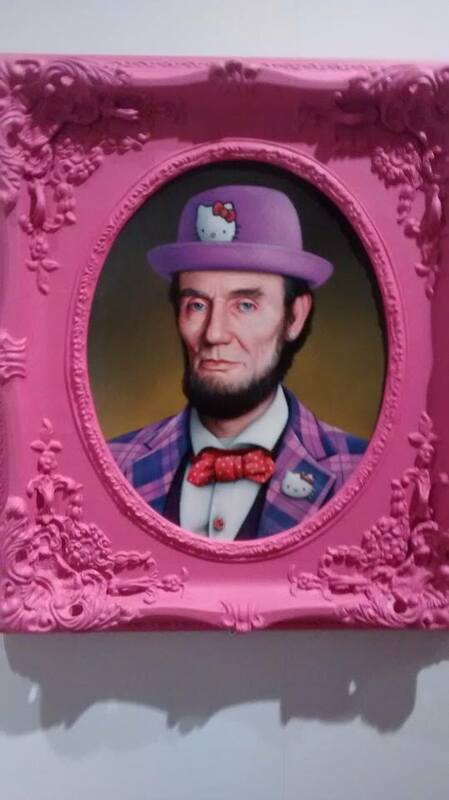 Especially since he did procure those tickets to the Hello Kitty Exhibition at the Japanese American National Museum in Los Angeles. We went to the exhibition after lunch yesterday. I was so excited to be there that I let my inner grade-school self just take over and squeal and exclaim in delight at the awesome display of everything Hello Kitty. To his credit, Sean was a good sport through it all. He indulged my fanatic picture-taking and cries of “Sean! Look at this!” every time I took a step to the next display case. He even let me take his picture a couple of times. 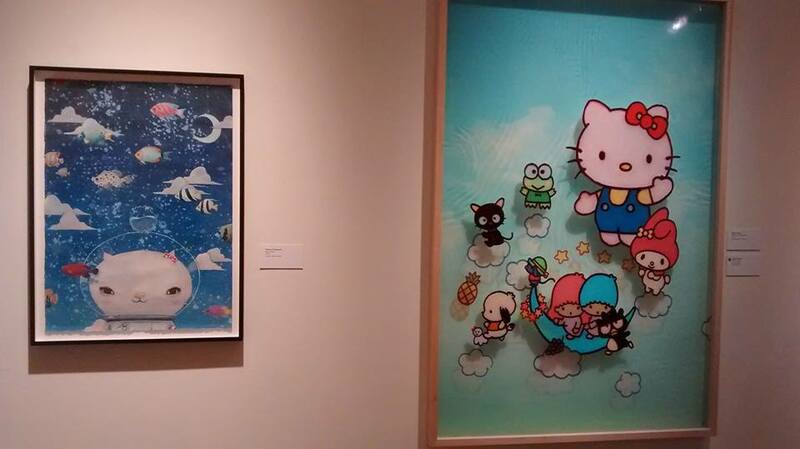 After the collections, we turned a corner and walked into a gallery displaying various artists’ contributions of Hello Kitty-inspired pieces. We were allowed to take photographs as long as we didn’t use any flash. You can bet I took a ton of photos to share, since not everyone would have the opportunity to see the exhibition in person. 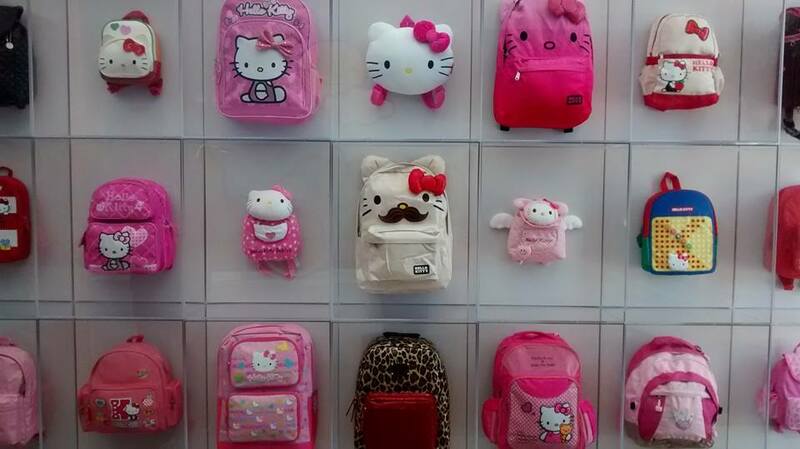 A whole wall was devoted to Hello Kitty backpacks. The one with the mustache was my favorite. 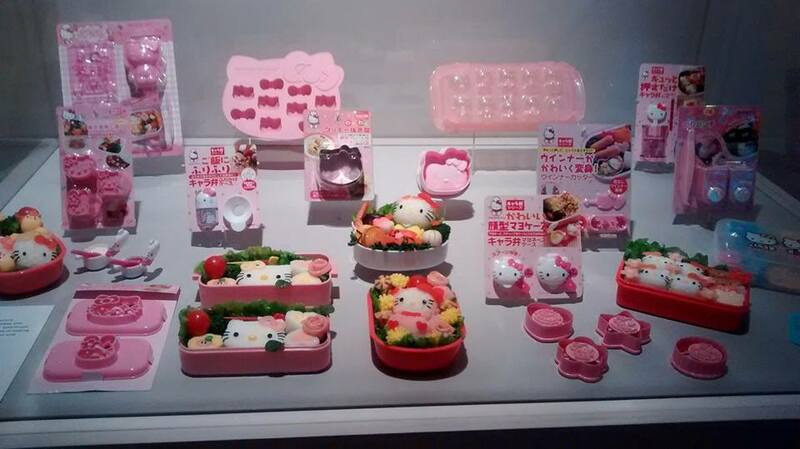 Hello Kitty bento boxes and food molds. I am all about the food. 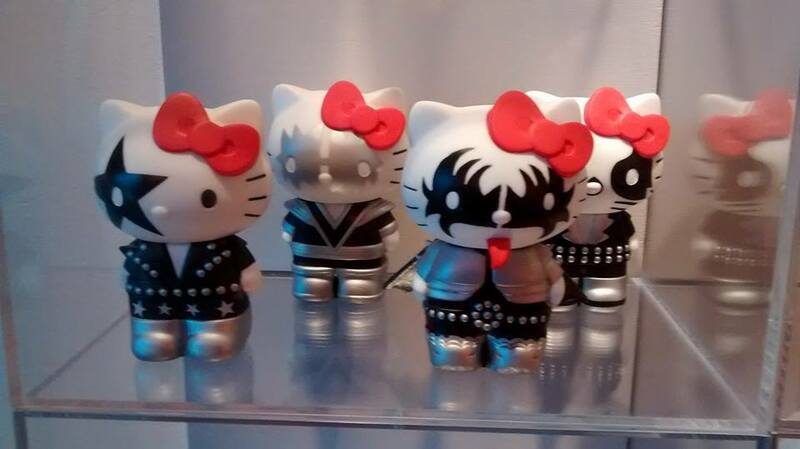 Hello Kitty KISS dolls! Note the Gene Simmons one, complete with tongue sticking out. Hello Kitty Gummy Candies! 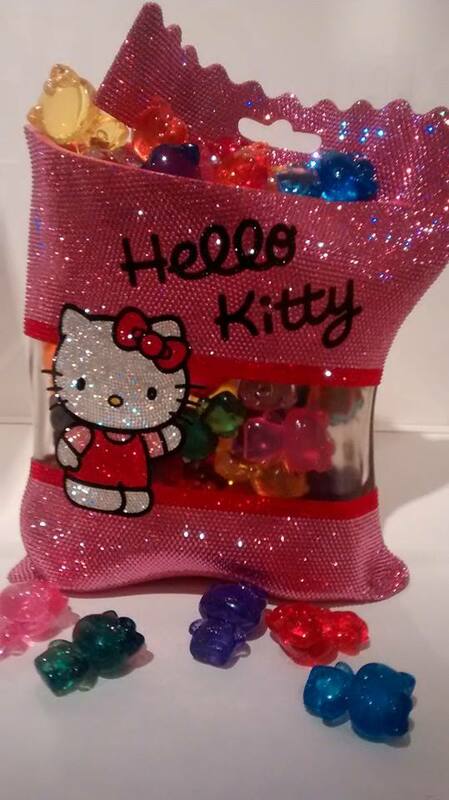 The bag was encrusted with little crystals, and the gummy candies really looked good enough to eat. I would have loved to own this. This was a really interesting painting. I am still trying to figure it out. 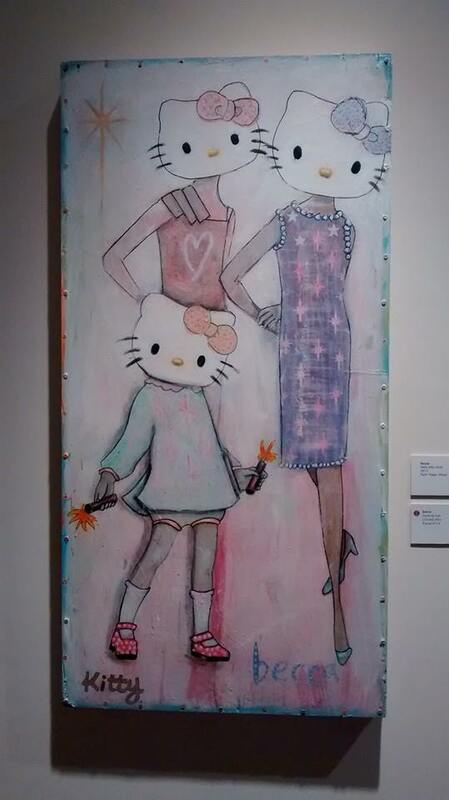 Hello Kitty as fashion model? Hello Kitty and friends painted on glass (the one on the right) and Hello Kitty underwater, wearing what appears to be an upside-down fishbowl helmet (to the left). Now this one was really cool. The photo doesn’t do it justice. 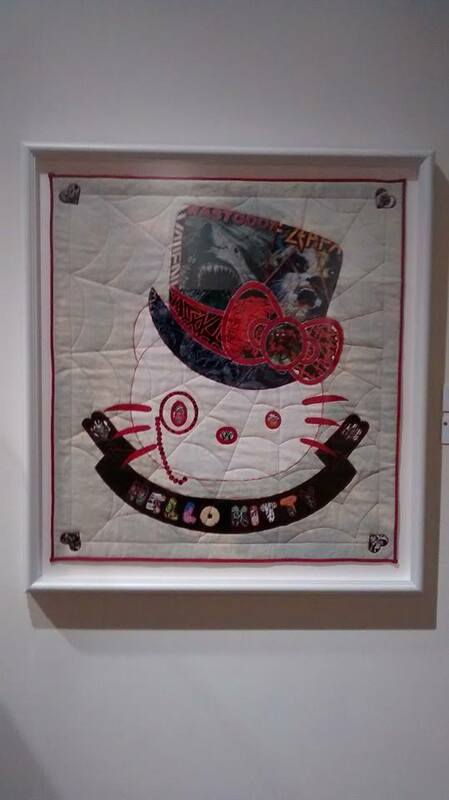 The artist made this out of a collage of pieces cut from t-shirts and other fabrics. Up close it was very impressive. I also liked the spider-web quilting design. 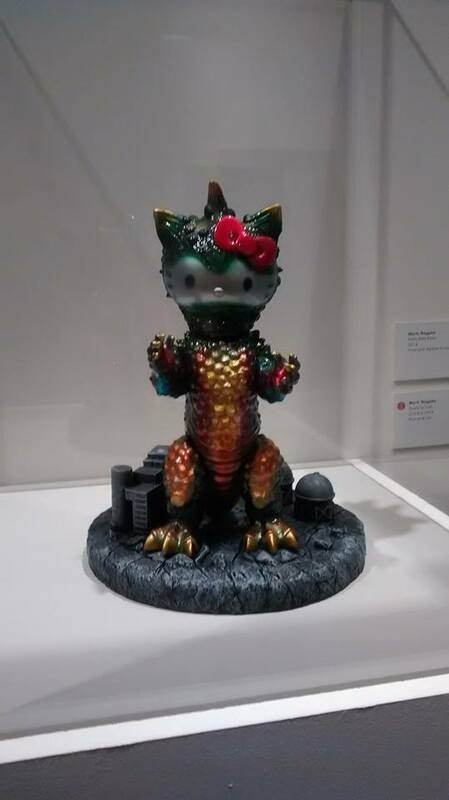 Uh-oh, it’s Hello Kitty Godzilla! 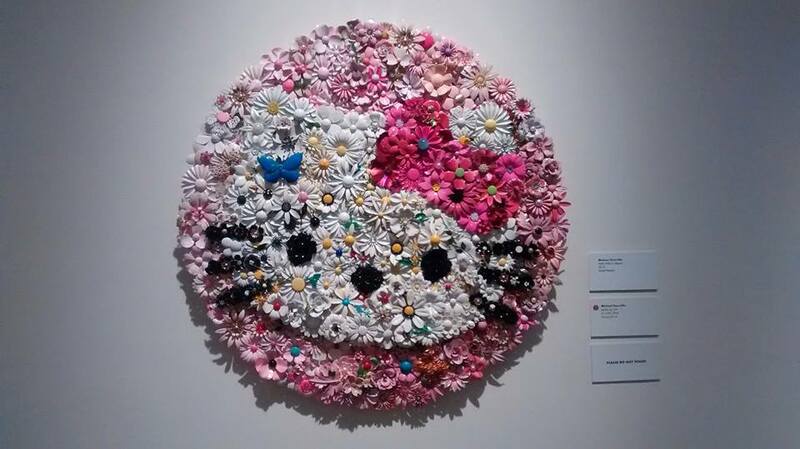 This appeared to be made out of pieces of meticulously arranged vintage buttons and brooches. 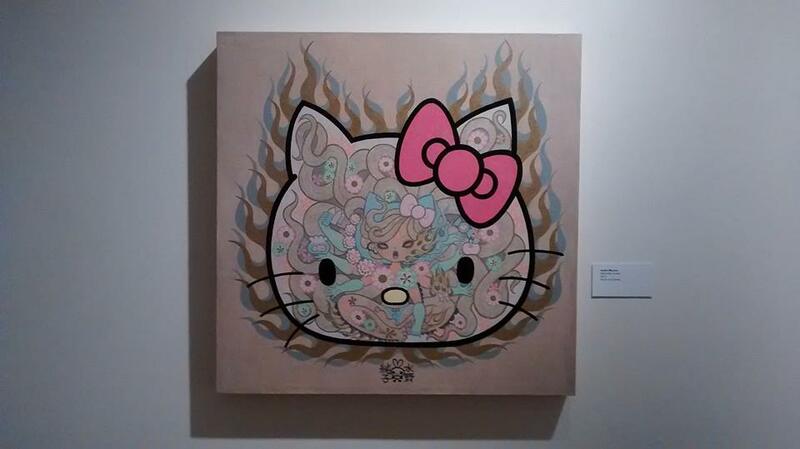 Hello Kitty by Junko Mizuno. 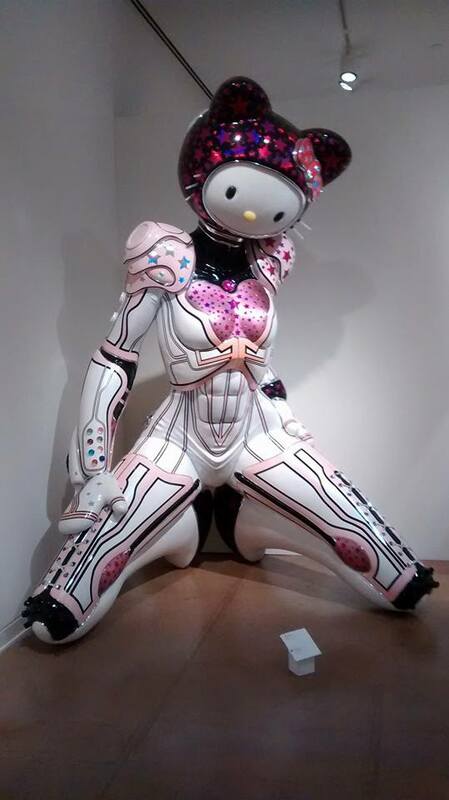 Hello Kitty Power Ranger? Robot? Action Figure? I have no idea. 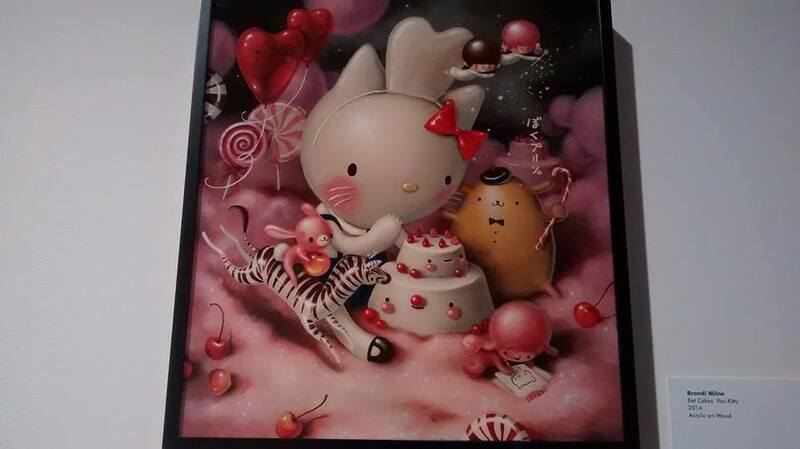 In addition to the Hello Kitty Gummy Candies, this is the other piece that I would have loved to own in my home. I guess I really have a thing for sugar and sweets. I get that not everybody is a fan of Hello Kitty, and I am aware of the political arguments against what Hello Kitty represents, and blah, blah, blah. But you know what? Sometimes it’s just nice to feel like a kid again in the best possible sense: happy, and full of wonder, joy, and awe at the things that other people have thought to create. 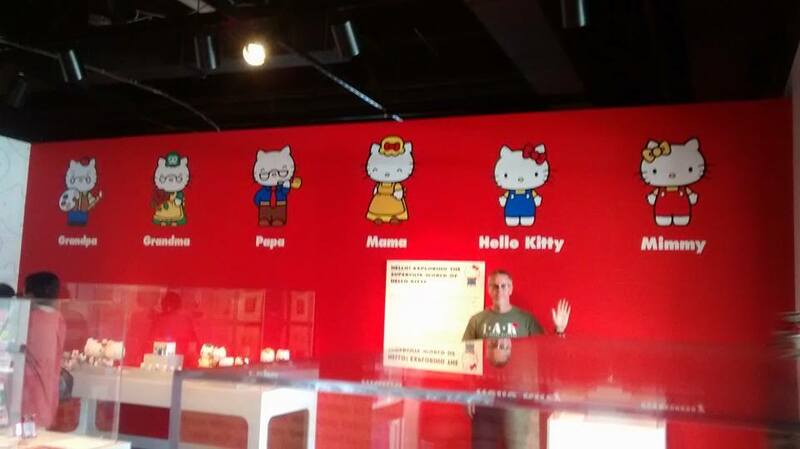 Categories: Adventures with Sean | Tags: Hello Kitty, Hello! 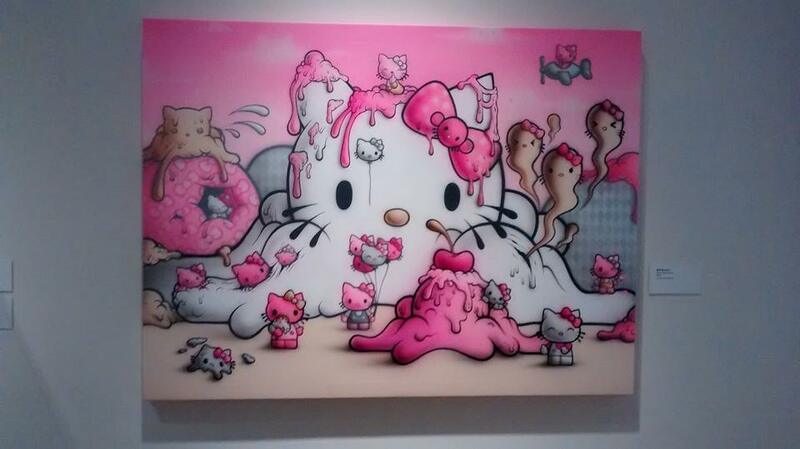 Exploring The Supercute World of Hello Kitty, kawaii, Sean | Permalink. Today was my Friday at work. I’m taking tomorrow off because I’ll be driving down to Ventura, and then Sean and I will head into Los Angeles. He’s giving a presentation at a conference on Saturday. After that, we have plans to do a bunch of fun stuff in L.A., including eating at a couple of really good restaurants, checking out some cool Japanese shops in Little Tokyo, and going to the Japanese American National Museum to see an exhibition called Hello! Exploring the Supercute World of Hello Kitty. (Doesn’t the name alone just make you want to see it?) Sean is in charge of getting the tickets, and if he actually pulls it off and takes me there, he is going to win my Husband of The Year award. He knows my love for all things kawaii. I told my buddy the lieutenant (who was a key character in this post and this one) that I would be taking tomorrow off. “Didn’t you just take the day off?” he asked. I thought about it. “You’re right,” I said. Three weeks ago, I did take a couple of days off. And the nice thing about having written a daily entry since January is that I can go back in the archives to see what I did on those days. Turns out it was this and this. 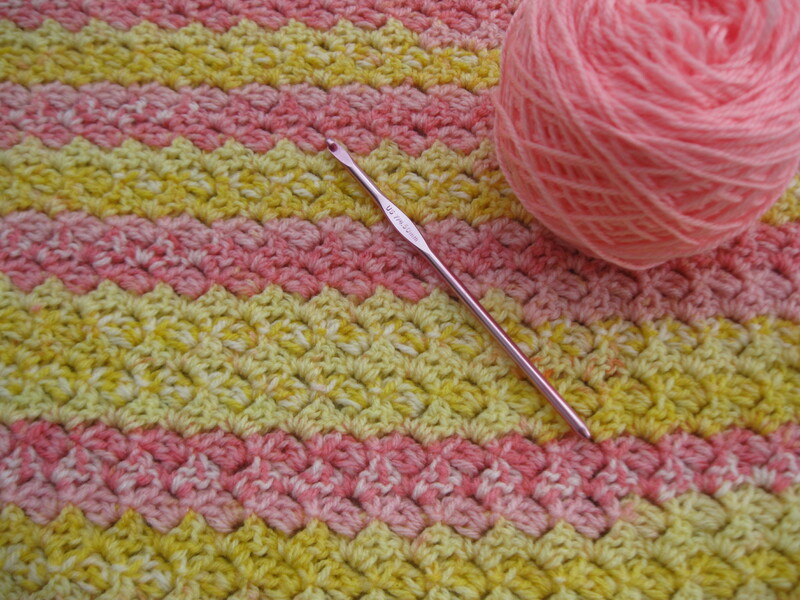 Categories: Handmade | Tags: afghan, crochet, Hello Kitty, Sean | Permalink.